The bloodstains are gone, but the worn floorboards remain. The doctors, nurses, and patients who toiled and suffered and ached for home at the Army of the Potomac's XI Corps hospital at the George Spangler Farm in Gettysburg have long since departed. The bloodstains are gone, but the worn floorboards remain. The doctors, nurses, and patients who toiled and suffered and ached for home at the Army of the Potomac’s XI Corps hospital at the George Spangler Farm in Gettysburg have long since departed. 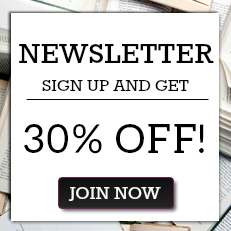 Happily, though, their stories remain, and noted journalist and George Spangler Farm expert Ronald D. Kirkwood brings these people and their experiences to life in “Too Much for Human Endurance”: The George Spangler Farm Hospitals and the Battle of Gettysburg. A host of notables spent time at the Spangler farm, including Union officers George G. Meade, Henry J. Hunt, Edward E. Cross, Francis Barlow, Francis Mahler, Freeman McGilvery, and Samuel K. Zook. Pvt. George Nixon III, great-grandfather of President Richard M. Nixon, would die there, as would Confederate Gen. Lewis A. Armistead, who fell mortally wounded at the height of Pickett’s Charge. In addition to including the most complete lists ever published of the dead, wounded, and surgeons at the Spanglers’ XI Corps hospital, this study breaks new ground with stories of the First Division, II Corps hospital at the Spanglers’ Granite Schoolhouse. Kirkwood also establishes the often-overlooked strategic importance of the property and its key role in the Union victory. Army of the Potomac generals took advantage of the farm’s size, access to roads, and central location to use it as a staging area to get artillery and infantry to the embattled front line from Little Round Top north to Cemetery Hill just in time to prevent its collapse and a Confederate breakthrough. 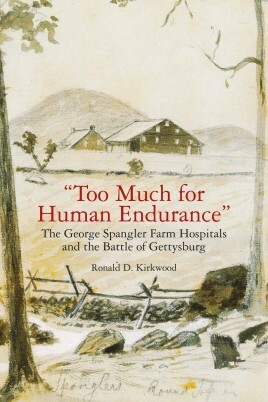 “Too Much for Human Endurance”: The George Spangler Farm Hospitals and the Battle of Gettysburg introduces readers to heretofore untold stories of the Spanglers, their farm, those who labored to save lives and those who suffered and died there. They have finally received the recognition their place in history deserves. Ronald D. Kirkwood is retired after a 40-year career as an editor and writer in newspapers and magazines including USA TODAY, the Baltimore Sun, the Harrisburg (PA) Patriot-News, and the York (PA) Daily Record. Ronald edited national magazines for USA TODAY Sports and was NFL editor for USA TODAY Sports Weekly. He has won numerous state, regional, and national awards for his writing and editing and he managed the copy desk in Harrisburg when the newspaper won a Pulitzer Prize in 2012. Ronald is a native of Dowagiac/Sister Lakes, MI, and a graduate of Central Michigan University, where he has returned as guest speaker to journalism classes as part of the school’s Hearst Visiting Professionals series. Ronald has been a Gettysburg Foundation docent at The George Spangler Farm Field Hospital Site since it opened in 2013, and he explores the Gettysburg battlefield dozens of times a year. Ronald and his wife, Barbara, live in York. They have two daughters, two sons-in-law, and three grandchildren.